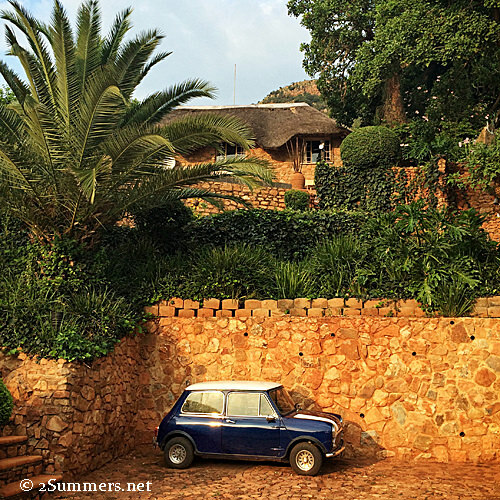 Need a Quaint Escape From Jozi? Go Here. I recently decided to get out of town for a few days to work on a writing project. 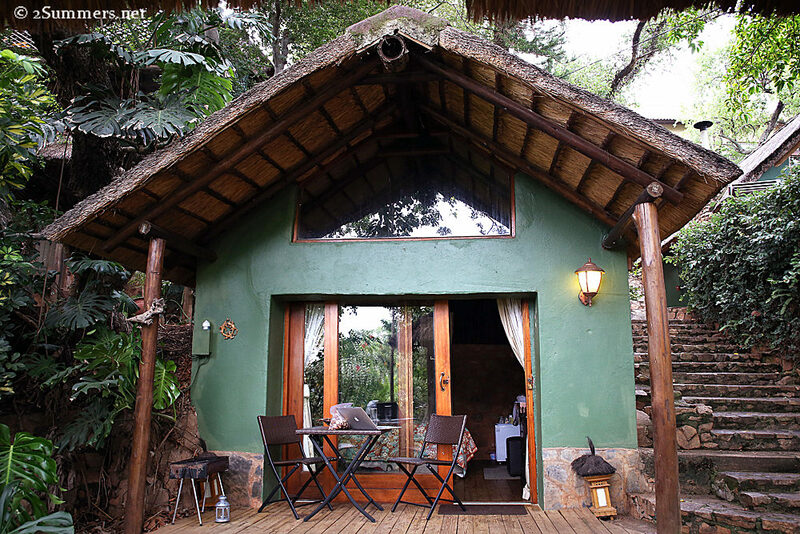 I wanted to stay somewhere inexpensive, relatively close to Joburg, and conducive to thinking and writing. I pulled up Tripadvisor and and started browsing B&Bs around Magaliesburg. One click led to another and I found myself on the listing for Willinga Lodge, a small B&B in Kosmos on Hartbeespoort Dam. Willinga’s website didn’t blow me away but there were some nice Tripadvisor reviews and something prompted me to call. After 90 seconds on the phone with Ingrid, Willinga’s owner, I knew I’d be staying there. Willinga’s full name is “Bali at Willinga Lodge”. Ingrid and Will, who are from the Netherlands but have lived in South Africa for decades, visited Bali several years ago and loved it so much that they decided to redecorate their lodge in a Balinese style. 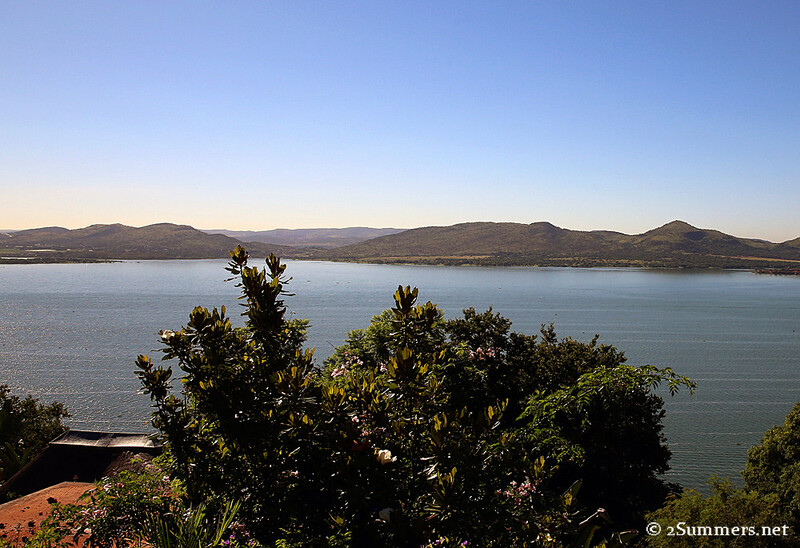 A Balinese B&B, run by a Dutch couple, on Hartbeespoort Dam in South Africa…Sounds weird, right? Just trust me though. It works. 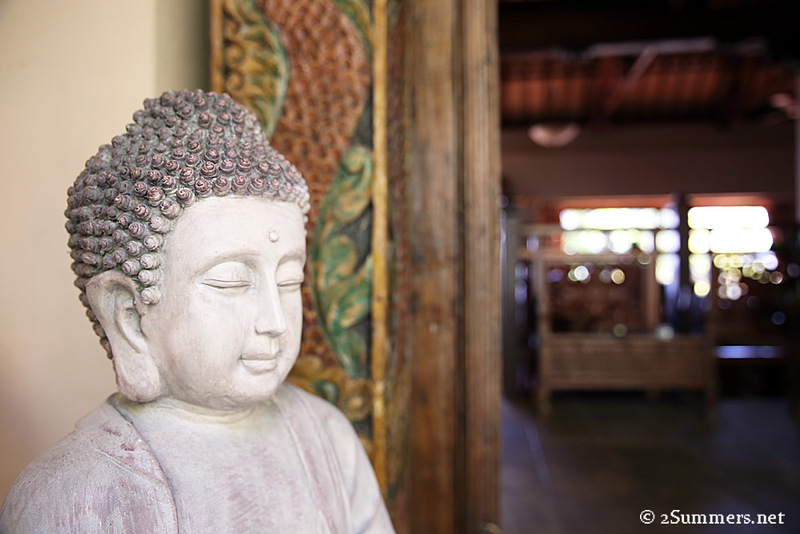 A Buddha outside the main house at Willinga Lodge. View of Hartbeespoort Dam from my breakfast table at Willinga. 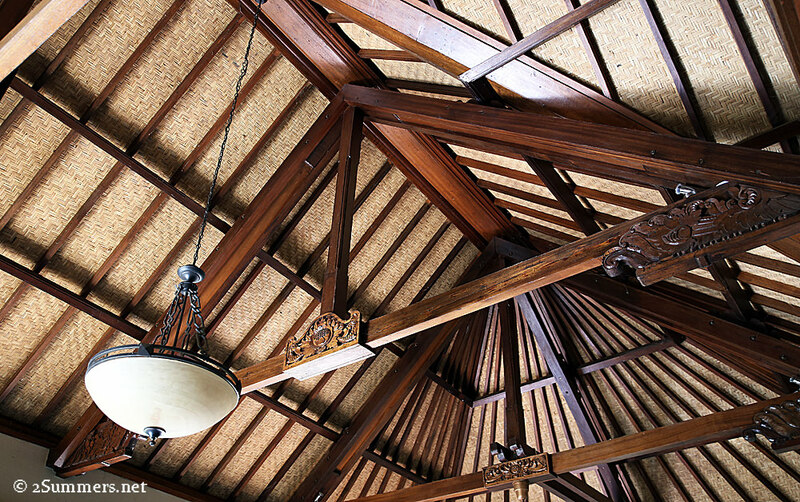 Willinga Lodge’s incredible Balinese roof, which was designed and built in Bali and then shipped to South Africa for installation. This roof has quite a story — read about it here. I’ve always been wary of staying on Hartbeespoort Dam. The area has a reputation for extreme kitschiness and the dam (a South African term for man-made lake) has a reputation for pollution. But I’m so glad I wound up at this lodge in Kosmos, which is more of a sleepy settlement than a town. I had never heard of Kosmos before but I loved it so much that I almost want to buy a vacation home there myself. And Willinga Lodge was perfect for me. 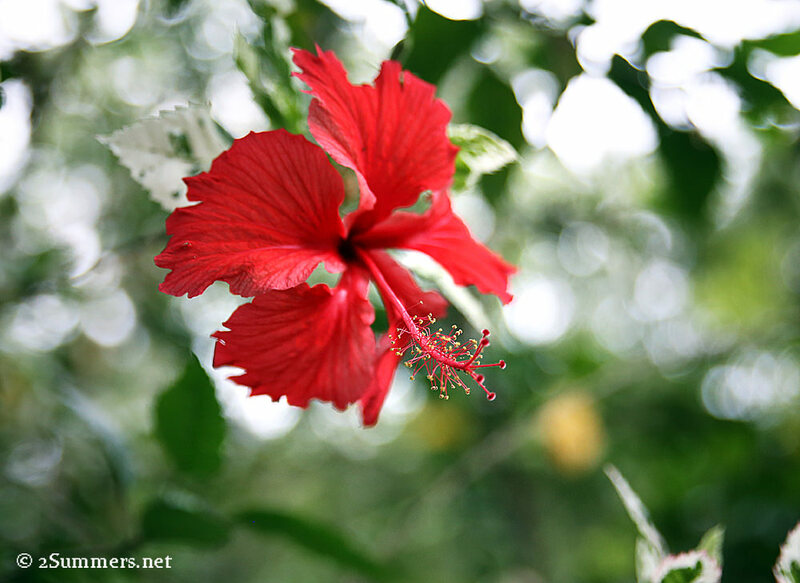 I stayed in the tiny garden cabana, surrounded by hibiscus flowers and colorful (non-agressive) spiders, typing away for hours on end. My cabana, which rented for R450 (about $38) per night at midweek, plus R50 ($4.30) for breakfast. A spider outside my room. 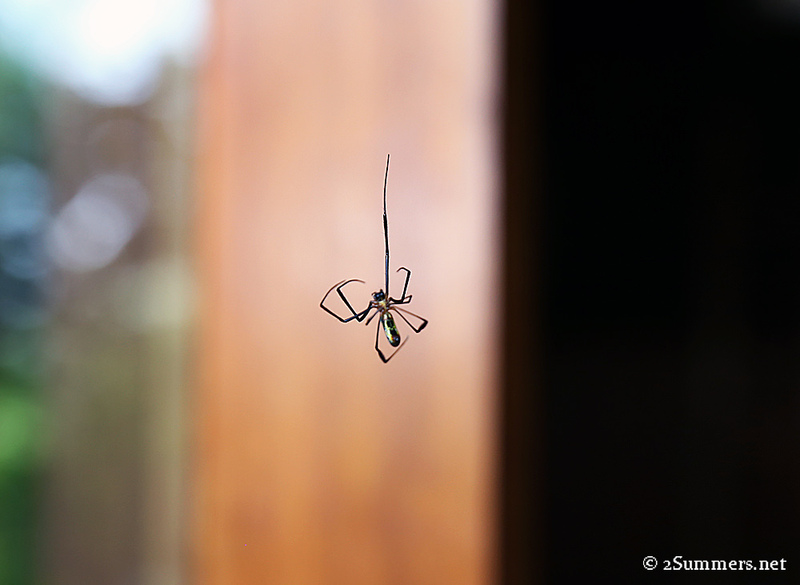 I think it’s a golden orb spider. I saw tons of them around the lodge — beautiful and harmless. 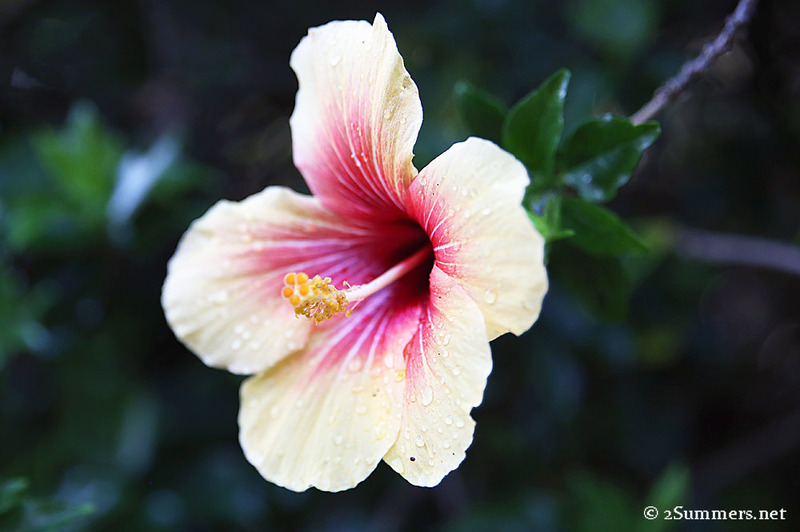 There are about a dozen different types of hibiscus growing at Willinga. I photographed most of them. 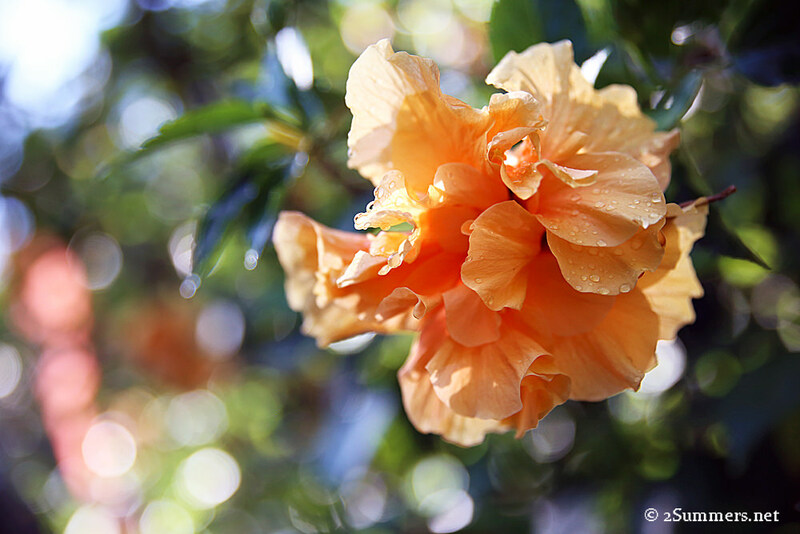 I had a new camera that week and flowers were the perfect subject to practice on. Willinga has eight rooms providing varying levels of luxury. My cabana was the smallest room but Ingrid let me take a look at some of the larger suites. The biggest suite at Willinga. I think it’s called the Bali Suite. I need to go back to Willinga someday when I’m feeling wealthy enough to stay in this suite. 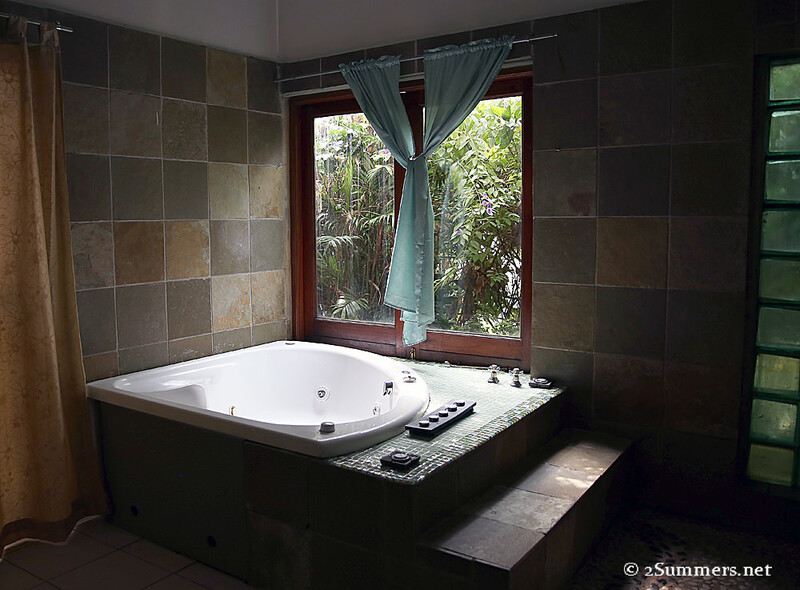 I really want to use the jacuzzi. By the way, there is a very nice health spa at Willinga but I didn’t get around to using it. Next time. I also loved the pets at Willinga Lodge. Ingrid and Will have a menagerie of adorable animals. Princess, the most special Willinga pet of all. Actually I don’t know what her real name is — I named her Princess myself because she’s a stray and no one at the lodge knows where she came from. Princess spent every day with me and slept on the bed. I was sad to leave her. Beautiful architecture, pretty flowers, and cute animals aside, Ingrid and Will themselves are the best thing about Willinga Lodge. I had several lovely chats with Ingrid and felt a special connection with her, which I don’t really know how to explain. I just know that I was in the right place and I know I’ll go back again someday. Ingrid and Will. The name of the lodge comes from their two names combined. Ingrid and Will are looking to retire and they’ve put Willinga Lodge up for sale. I selfishly don’t want to mention this because I wish Ingrid and Will would live there forever. But I’ll put my selfishness aside and say that if you want to take over a really nice life running a beautiful B&B in Kosmos, you should contact Willinga. Or at the very least go stay there for the weekend before Will and Ingrid leave. Loved this post. 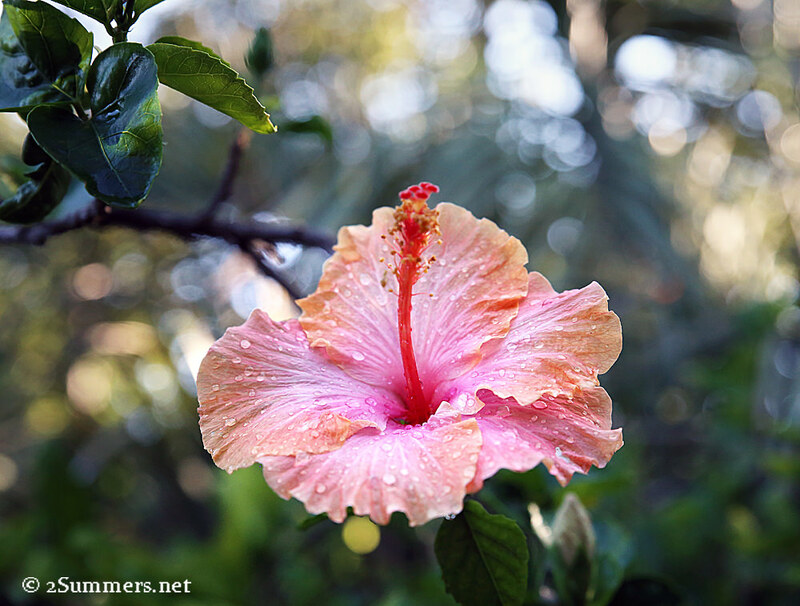 Your new camera is doing very nicely with the landscape and flowers. The photo of Ingrid and Will seems to be kind of grainy – or was it the lighting? Too bad (or good) that they are retiring. If I were living in the area, I surely would visit. You make it sound so alluring! Thanks. I lived in Kosmos for a while when we where working on the Pelindaba project, I loved it there and was so sad when we left. I think I should take a weekend break there to reminisce.